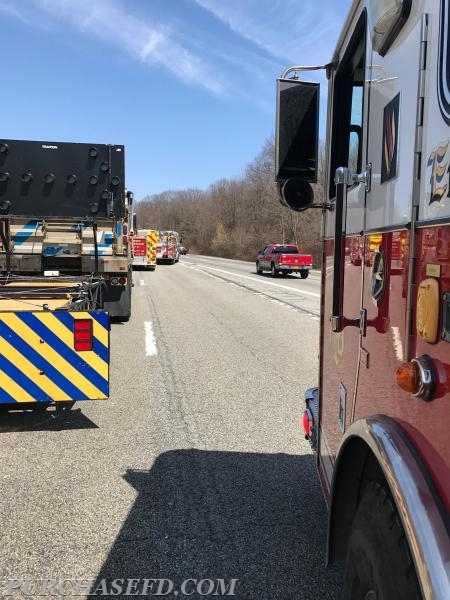 On Wedsnday April 11th, 2018 at approximately 1143am The Purchase Fire Department, West Harrison Fire Department and a mutual aid ambulance from the City of White Plains were dispatched to I684 Northbound in the area of mile marker 1.0 for a Motor vehicle accident with injuries. 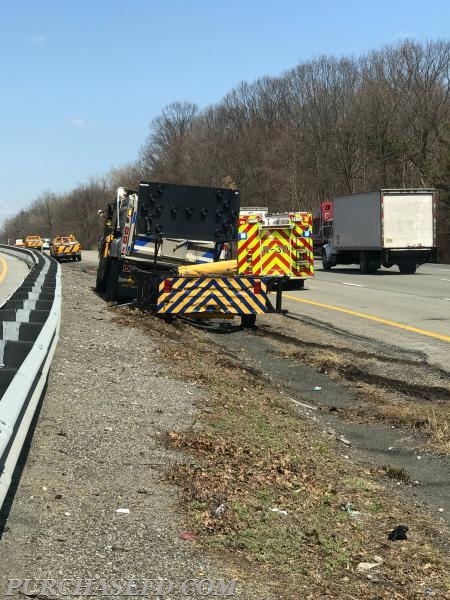 Once on scene units found a single vehicle into the rear of a DOT blocking vehicle. 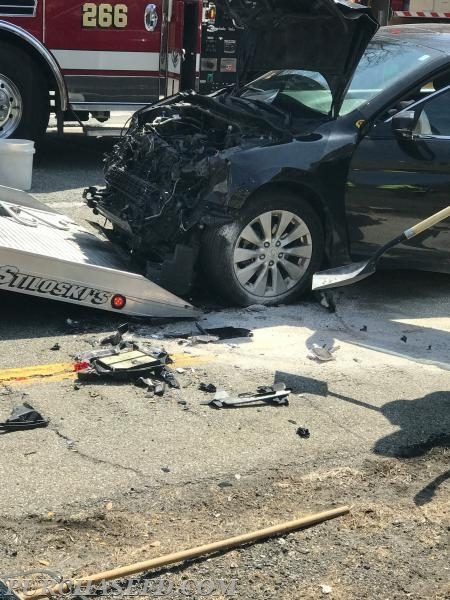 The affected Vehicle was secured and traffic controled until the car was removed from the roadway. There were no injuries.